Every now and then I hear brazilian jiu jitsu practitioners debate whether its better to learn with a gi or without. I figured I might as well add my two cents to the discussion. I am an average guy, average athleticism and average jiu jitsu. I have been training jiu jitsu on and off for about 15 years, am an average brown belt and rarely do no gi. I had an interesting experience the other day in the gym where I train. We had a wrestler / no gi jiu jitsu person come in to visit. i asked if he wanted to roll and he said he didn’t have a gi. I said no problem, I’ll try no gi for a change. I said, I apologize in advance, I haven’t done no gi in a couple years. We started rolling and it didn’t take long for me to realize I had no material to grab. He out wrestled me easy, and I ended up on the bottom and was able to pull guard. But, once there, I didn’t feel uncomfortable, and the adjustments came easy for me. I just kept grabbing the wrists, back of the triceps and back of his neck to break his base and set up some attacks. I got a couple of different arm bars, a triangle and a lucky scissor sweep where I grabbed his wrist and back of the neck. I did have a lot of trouble sweeping him. He had really good base and through most of our roll I was on the bottom. Like I said I am an average joe jitsu guy who has trained with a gi 98% of the time and here I was doing really well against a bigger, stronger and more athletic person than myself. 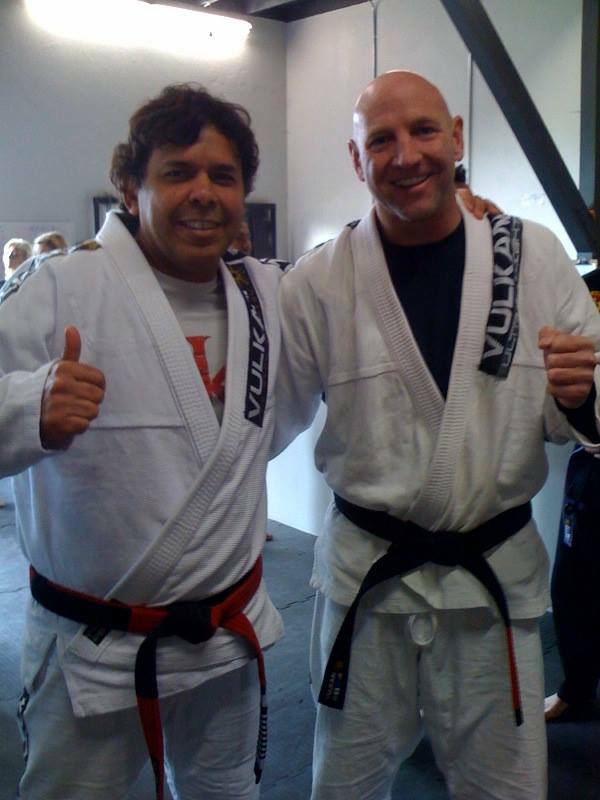 He had been wresting his whole life and doing brazilian jiu jitsu for years, but only no gi. I definitely think that people who start bjj should start with a gi. Think about it. I held my own with someone who does no gi all the time and I hadn’t done it in a long time. I could adapt to his game and do well. He probably could do well wearing a gi as well, but because he didn’t incorporate traditional jiu jitsu, he wouldn’t know how to do a gi choke, for example. And, because he doesn’t know how to do a gi choke, he won’t know how to defend against it either. Like I said, I am just an average guy, but thought I would add my opinion! Come by and like the RocknRoll Brazilian Jiu Jitsu Facebook page! I am head instructor and trainer at RocknRoll BJJ & Fitness but I am also an assistant instructor at Global Jiu Jitsu Academy under Professor Marcelo Carvalho. 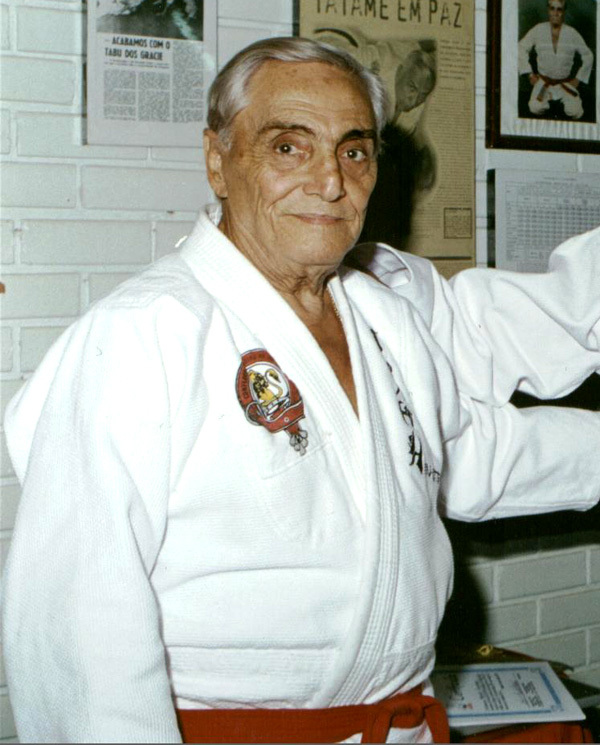 Professor Carvalho is a great instructor for all ages young and old, but he was inducted into the martial arts hall of fame specifically for his teaching of martial arts to children. If you live in the Orange County, California area and are looking for a great place for your kids to learn self defense, discipline and respect for themselves as well as others, then look no further! Global Jiu Jitsu Academy offers flexible schedules and great family packages that are affordable even in this tough economy! To learn more come on by or check out the Global Jiu Jitsu Academy website!